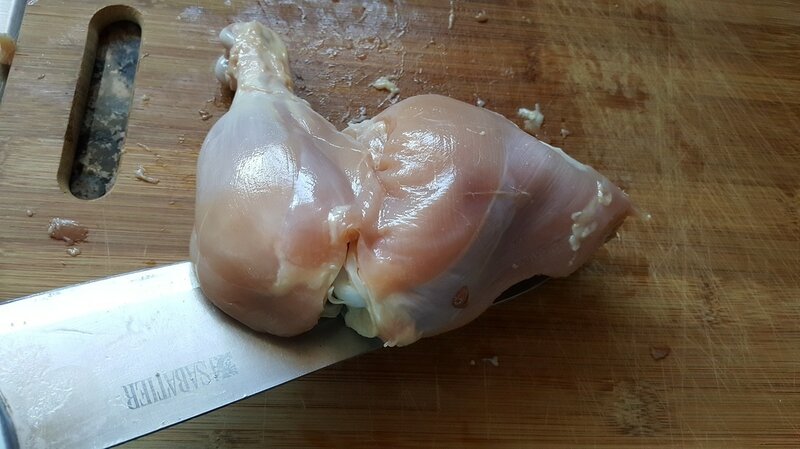 Just like the "Cleaning Meat" post, I grew up watching my family clean chicken as well. It has always been a "must do" in my family. However, I'm not a big fan of touching anything raw and just try to avoid it if I can. Back in the day if my grandmother was around, I always asked her to clean the chicken just so I wouldn't do it. Plus, she did it so well. 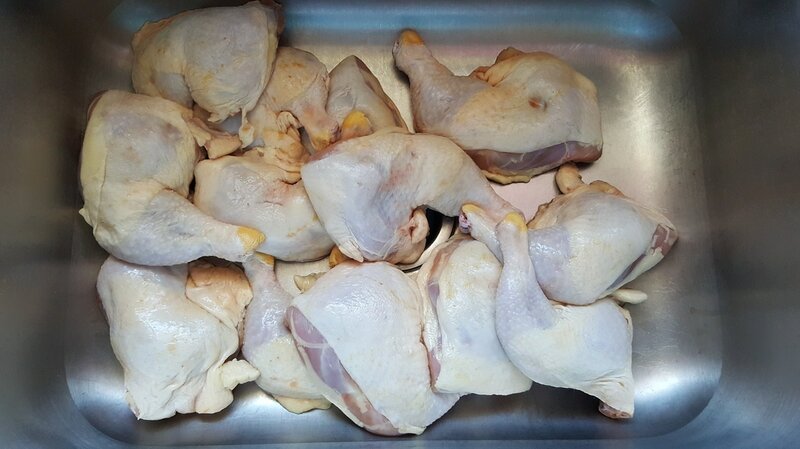 So when the inevitable comes, I clean chicken in large batches then freeze them in portions to use when needed. 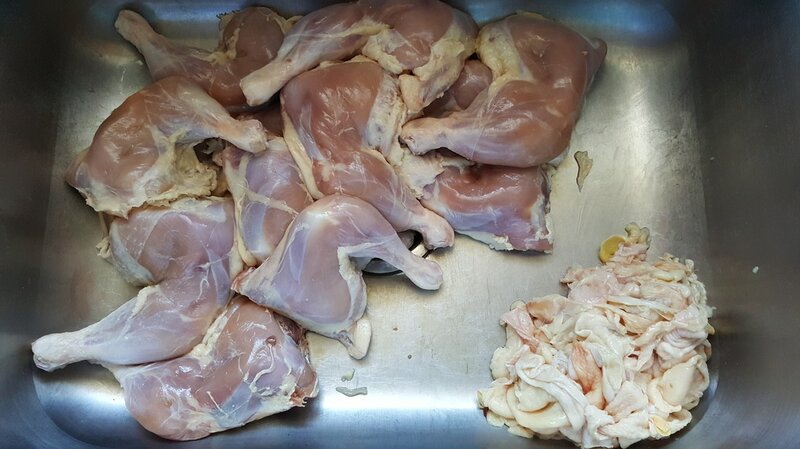 I also like to pre-season them which makes things so much faster and easier when you want a good chicken meal but don't have the time for the preparation. When it comes to leg quarters, I buy them in bulk when they are on sale. A good sale is usually around 39, 49, or 69 cents per pound in my area. 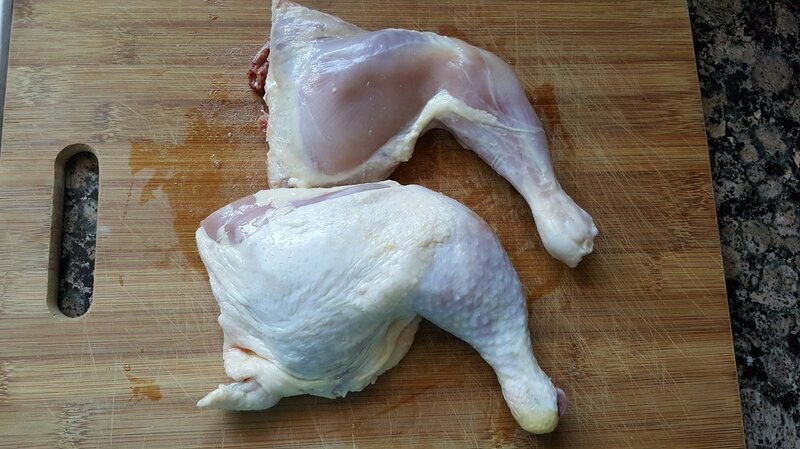 Below, I show you the method that I was taught when it comes to cleaning chicken. 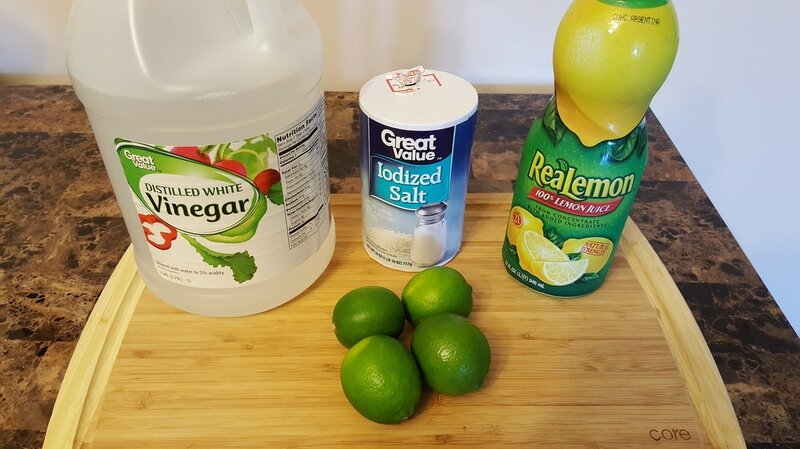 As far as ingredients are concerned, other than the chicken, the additional items I use are vinegar, salt, limes, and sometimes lemon juice concentrate. Start off by peeling off the skin off of every individual piece. The only time I ever leave the skin on is if it is for a specific recipe (i.e. baked, roasted, etc.) 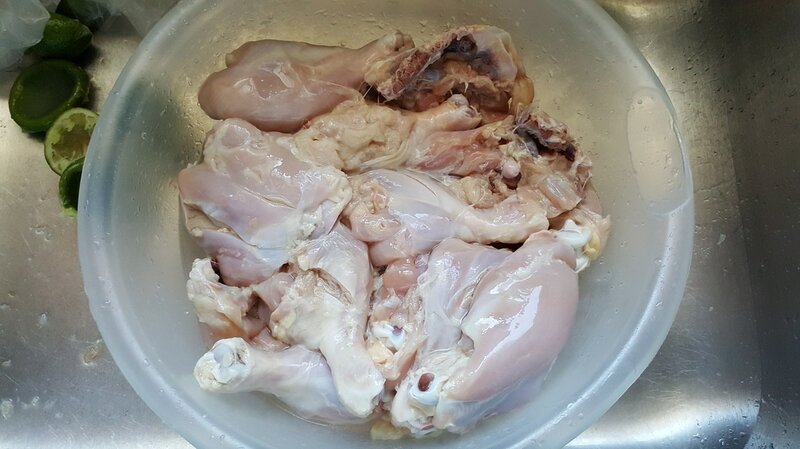 We always remove the skin, especially if it is a Haitian dish. 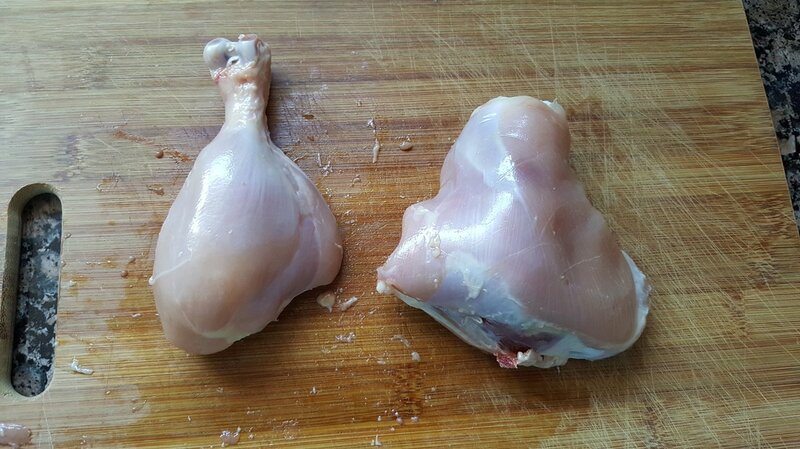 For the majority of chicken that my mother and grandmother would make in my life time, I've rarely seen them cook chicken with the skin on. Unless it was chicken wings of course. That's usually the exception. 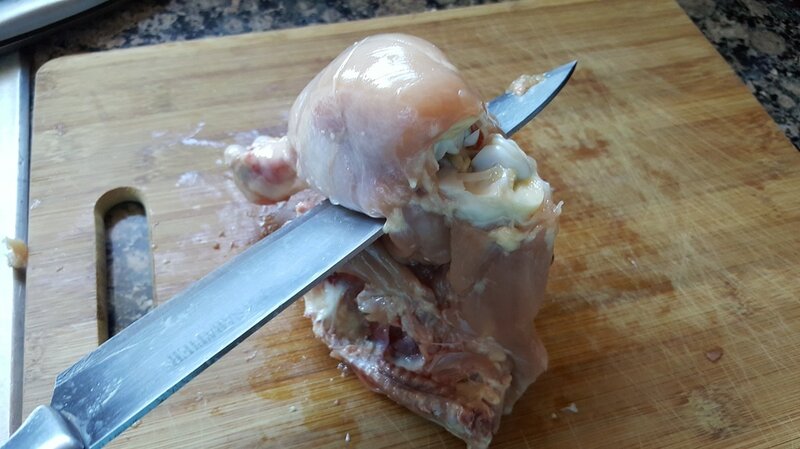 Next step is to remove as much of the excess fat and film on the chicken as possible. 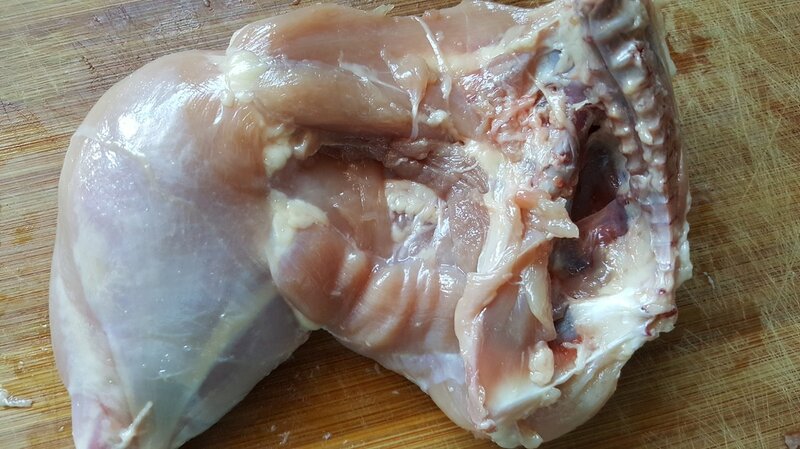 On the underside of the chicken leg quarter, there is a ridge of bone on the right side. Immediately to the left of that bone, there's a cavity that holds "googly" stuff (sorry, I don't know the correct terminology for it). Using the tip of a knife, scrape all that googly/jelly-like flesh out of there. 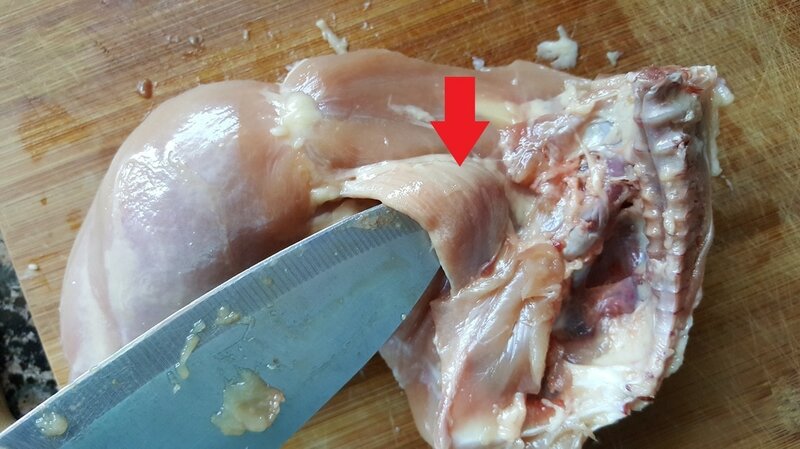 The next step is to remove a small piece of muscle that my uncle told me is the tip part of the chicken's breast. 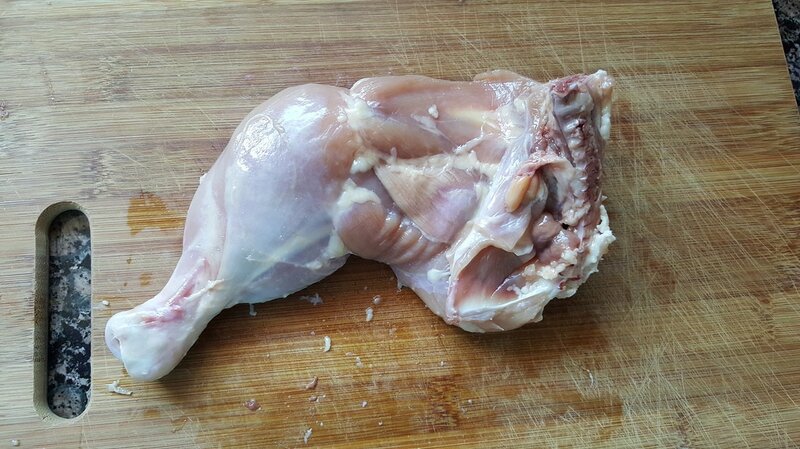 I'm not an expert in chicken anatomy so I took his word for it. 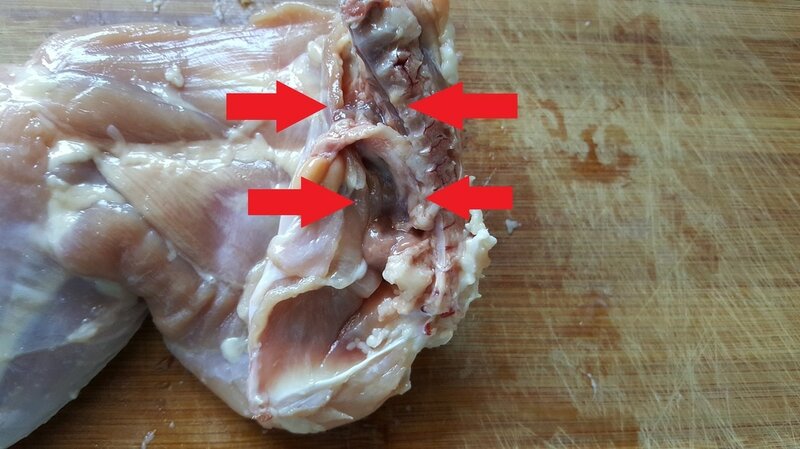 This part is removed because it helps rid the chicken of that "raw" or "old" chicken taste and smell. In Kreyol, they refer to it as "santi di" or "santi kri". If you happen to eat the chicken as left overs, it'll still taste as if it was made the same day. If you don't remove it, then it'll have a noticeable taste that is a little different than when it was just made. Next, there is a blood vessel right underneath that flap of muscle that was just removed. For the same reason as mentioned before, that blood vessel also needs to be cut out. 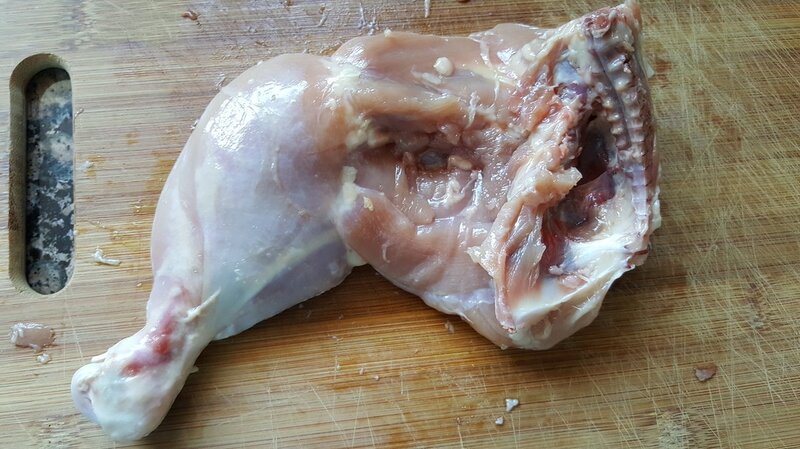 Based on your preference, you can keep the chicken leg quarter whole or cut it into thigh and drumstick pieces. 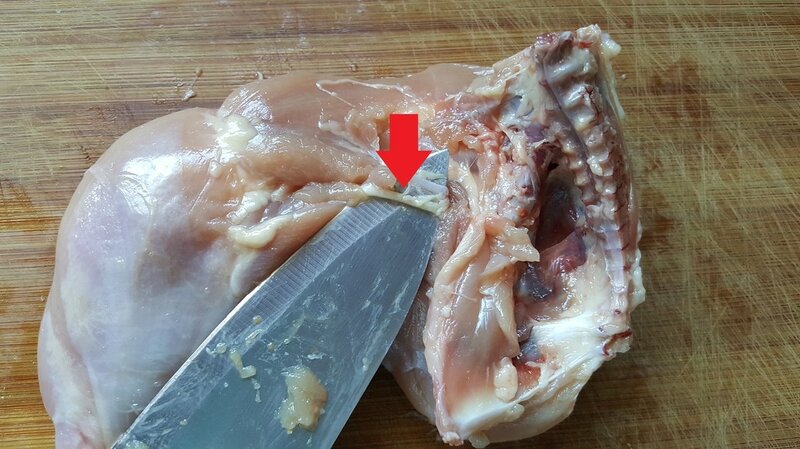 If you decide to cut it, going through the joint is the easiest way as shown below. Once the joint has been split, separating the two pieces becomes a whole lot easier than trying to cut through bone. 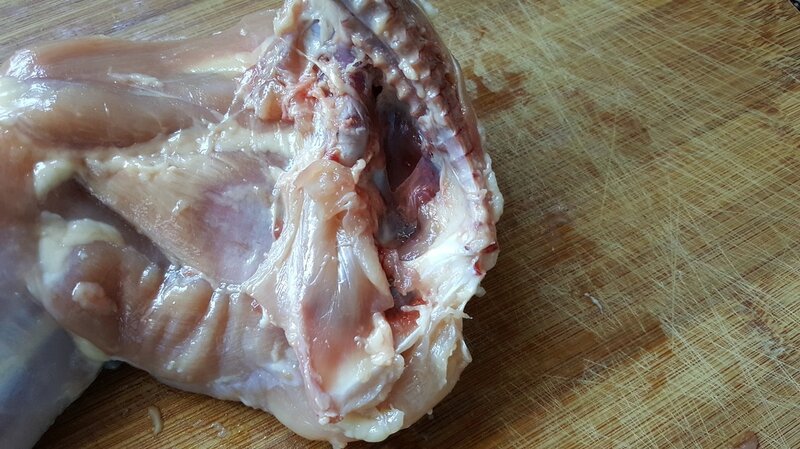 Taking it a step further, we like to cut slits on the surface to provide areas for the seasoning and marinade to go through. 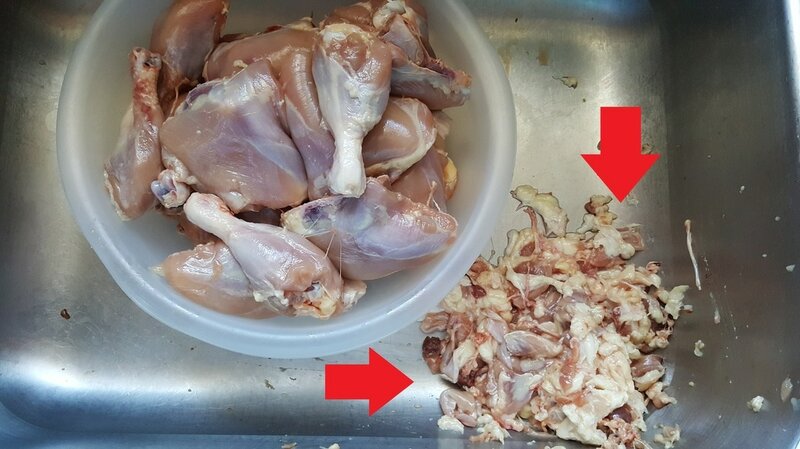 This is all the junk that was removed off of the chicken. This does not even include the skin since it was already thrown out. 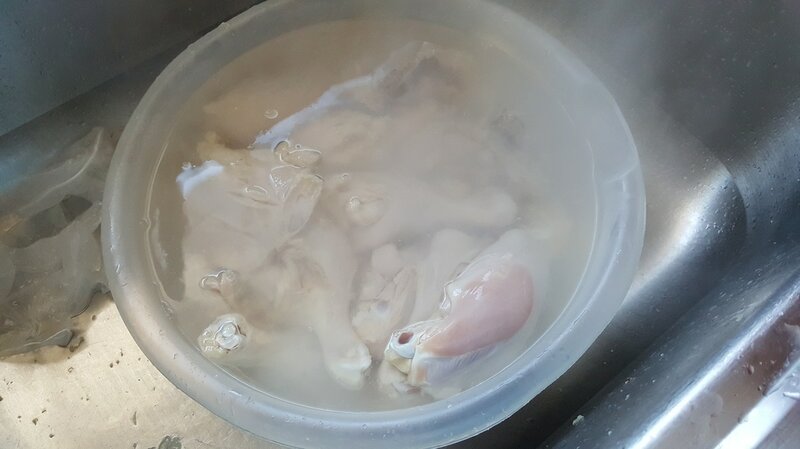 Now, it's time to wash the chicken with soap and water. Just kidding! 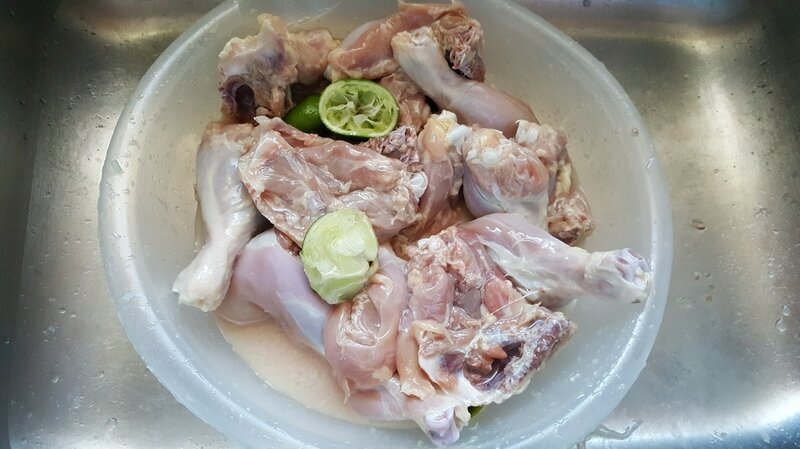 After briefly rinsing off the chicken, add a generous amount of salt, a splash of vinegar, and several limes cut in half. 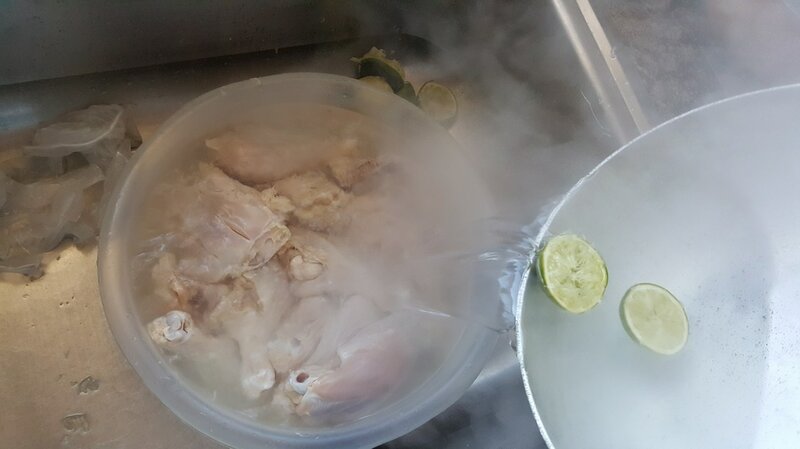 Use the lime and its juices to scrub the surface of each individual piece of chicken. This helps to remove the slime and film off the chicken. The salt helps to "exfoliate" as you scrub the limes on the chicken like a "sponge". You can add water and let it sit in the solution for up to 30 minutes or you can rinse it off right away. You can rinse off each individual piece under running water or collectively in the bowl until the water is fairly clear. 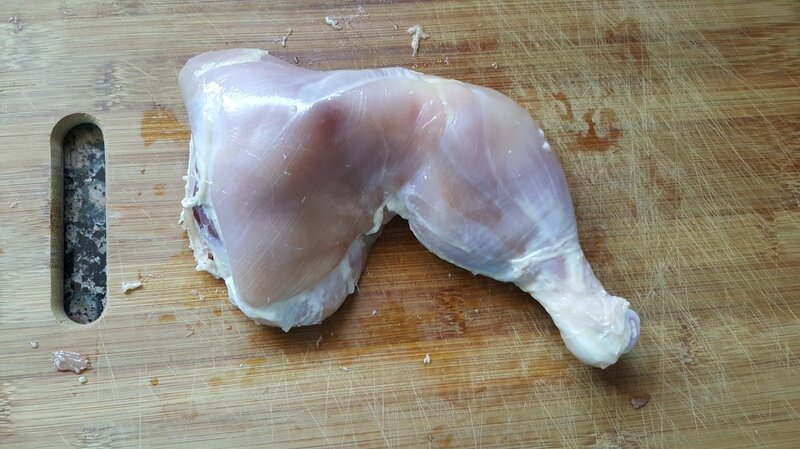 Depending on the type of recipe the chicken will be used for, we sometimes "shode" it. 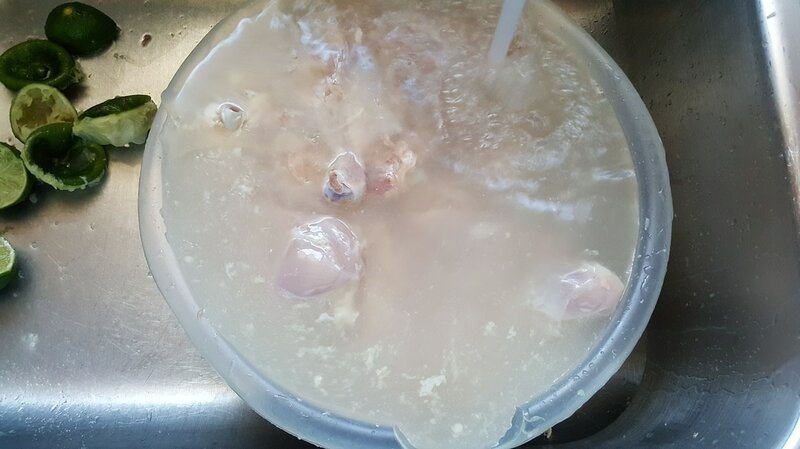 This is basically adding boiling water to the cleaned meat for about a minute or so and draining it once again. 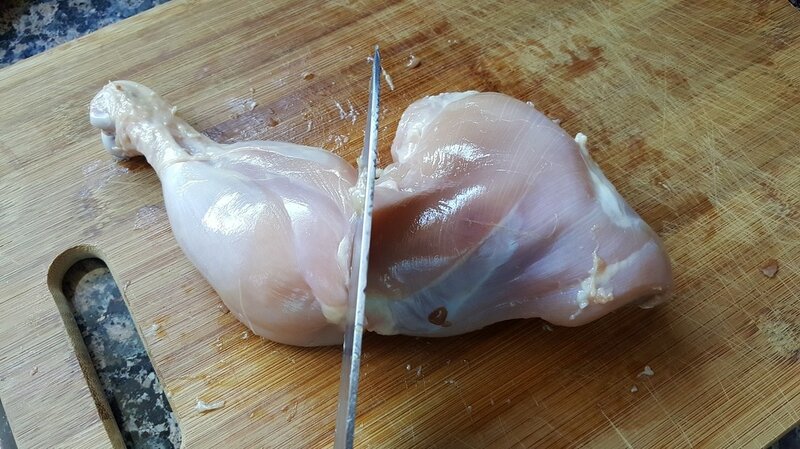 This process, as I was told, is to "tighten" the chicken. 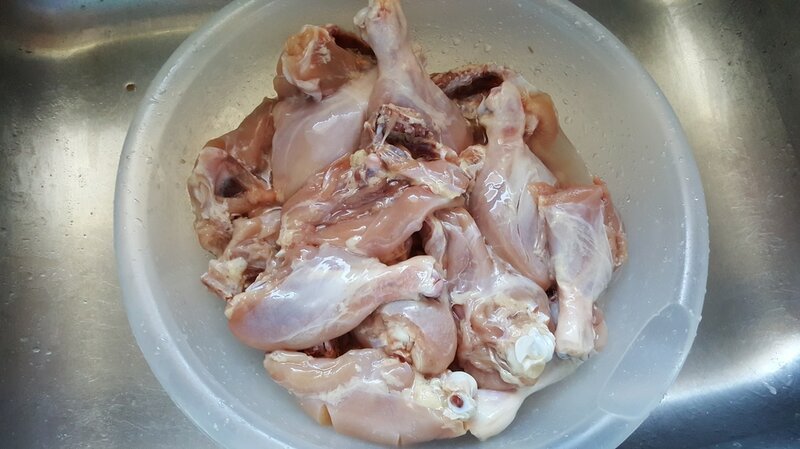 Yes, cleaning chicken is a long and tedious process, however, for us Haitians, it's a must do. I'll be honest though, I can be quite lazy sometimes and bypass a few steps. In the end, I can notice a significant difference. Therefore, I highly recommend cleaning your chicken. As a side note, we also clean the other parts like the breast and wings. We do keep the skin on the wings. Cleaning turkey, or any other poultry for that matter, follows the same steps. 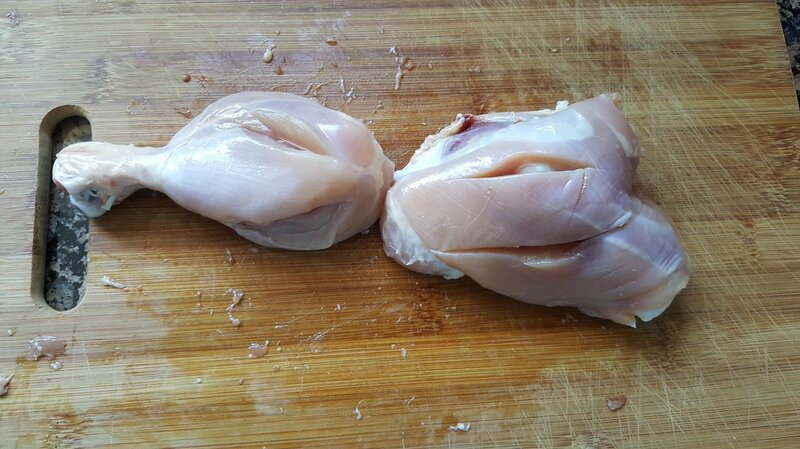 But as mentioned, the skin may remain on depending on the cut or what type of recipe the poultry calls for. Did you find this post helpful? 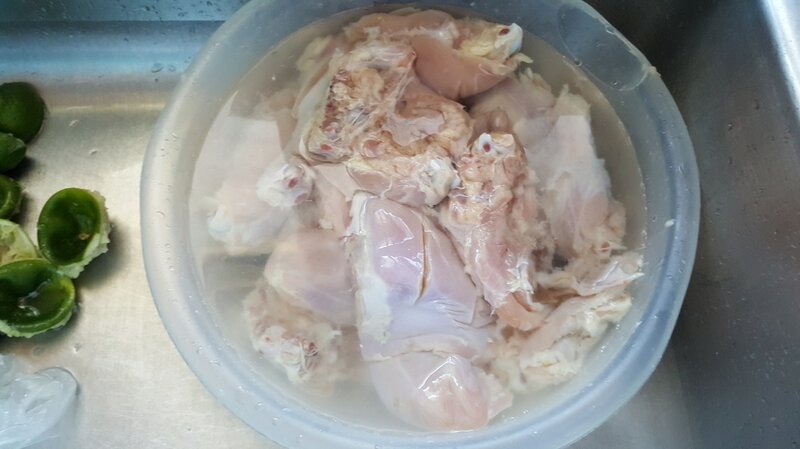 How do you clean your chicken?